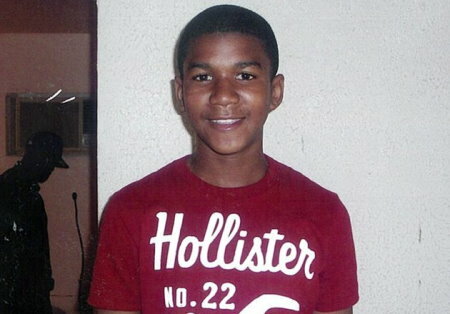 In an extraordinary show of bias, this picture has been the face of Trayvon Martin in the media. 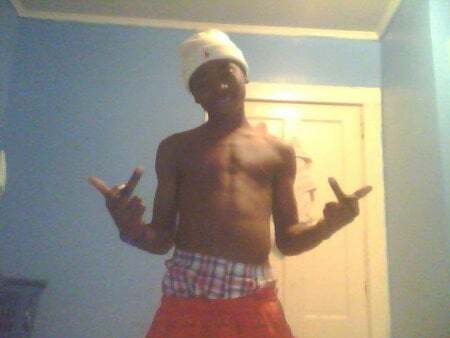 Trayvon looks to be, I don’t know, maybe 12 years old in this pic? Now, the MSM certainly has no obligation to use the most up to date pictures of anyone, but when you use a childhood picture of someone who is almost a man in a case like this, it presents a false image to the public. That’s very relevant given George Zimmerman’s story. Trayvon Martin threatened and beat George Zimmerman, Zimmerman’s father said tonight in an exclusive interview on WOFL-Channel 35. Nobody would buy the idea that the kid in that picture said, “you’re going to die now” and attacked an adult. It just doesn’t seem plausible. On the other hand, would you buy that story about this kid? He’s got the pants hanging down and the double middle fingers flipped up. He looks like a thugged out little punk — and yes, you could definitely visualize him attacking George Zimmerman. The problem is, that’s not the real Trayvon Martin. Before we go any further, let me note that not only have I not posted that picture here before, I have written on RWN and on Twitter that isn’t the real Trayvon Martin. However, it isn’t a “phony” picture and it didn’t come from any “white supremacist” website as I’ve heard some people claim. It came from the Facebook page of Trayvon Martin (Hat tip to Dan Riehl, who was the first person I saw to find this). This Trayvon Martin is from Savannah, Georgia, not Florida. So, I think it’s fair to give people who used this photo the benefit of the doubt and assume they thought it was genuine, although it’s certainly not a legit picture. Of course, some people have been understandably very upset about this inaccurate picture running. They’ve said it’s a smear, it was an effort to make Trayvon Martin look like a thug, etc., etc. That makes you wonder what they’re going to say about this newly found picture, which is real. 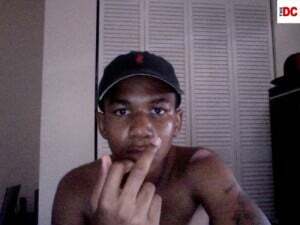 The fact that Trayvon Martin is flipping off the camera doesn’t mean George Zimmerman is innocent or that Martin deserved to get shot, but again, it undercuts the entire picture that the mainstream media has been painting. Trayvon Martin isn’t a little kid, he was far from an angel, and yes, it is entirely possible that George Zimmerman is telling the truth about what happened. Maybe Trayvon did foolishly choose to attack him and Zimmerman shot him because he had good reason to believe that his life was in danger. We simply don’t have enough information yet to know for sure who was right and who was wrong. We do, however, have enough information to say that making this tragic and incredibly ambiguous situation into some sort of national test case for whether black Americans can get justice in the Obama era was incredibly foolish. This case is anything BUT simple or clearcut and anyone pretending that it is, is either misinformed or doesn’t care much about the truth.